The Choir of the Staatsoper Unter den Linden (Staatsopernchor) is one of the leading opera choirs, nationwide as well as globally. The Choir was founded as early as 1742, when the Opera House was inaugurated. Since then the Choir has been an intrinsic part of opera and concert life. Today, this institution features about 84 full­time members. The classic opera repertory and rarely performed works are in the focus of the choir as well as the great symphonic literature with choir, mostly in collaboration with Staatskapelle Berlin. Recently the choir performed Rossini’s “Petite Messe solennelle”, Haydn’s “The Creation”, Elgar’s “The Dream of Gerontius”, and Brahms’ “A German Requiem” In the field of opera the Staatsopernchor is active in works by Mozart, Wagner, Verdi and Puccini as well as in Baroque and contemporary works. Many recordings with Daniel Barenboim document the elevated status of the Staatsopernchor. Between 1998 and 2013 Chorus Master Eberhard Friedrich has stood at the helm of the Staatsopernchor. Under his direction the choir was honoured by the “Opernwelt” Journal Critics’ Award as “Choir of the Year 2004”. 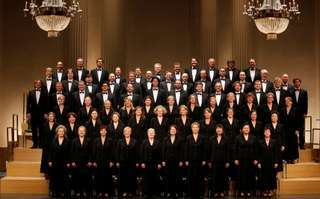 In 2009 the Staatsopernchor awarded the European Choir Prize from the Europäische Kulturstiftung. From the beginning of the 2013/14 season, Martin Wright was appointed as the new chorus director who was responsible for the choir parts e. g. in Wagner’s great operas and musical dramas, in Beethoven’s “Fidelio”, Berlioz’ “La damnation de Faust”, Verdi’s “Macbeth”, Cherubini’s “Medea”, Rameau’s “Hippolyte et Aricie”, and the world premiere of the new version of Widmann’s “Babylon”.